Over The River and Through the Woods, to Grandma’s Front Porch We Go! With Thanksgiving behind us now, we’ve now “officially” kicked off the “Holiday Season.” The holiday trifecta of Thanksgiving, Christmas and New Years gives us many opportunities to get together with family and friends to reflect, share and celebrate. It truly is a special time of the year. Despite record-setting temperatures in Des Moines this Thanksgiving, those gatherings generally aren’t occurring on too many decks, patios or porches…it will get cold and it will snow. 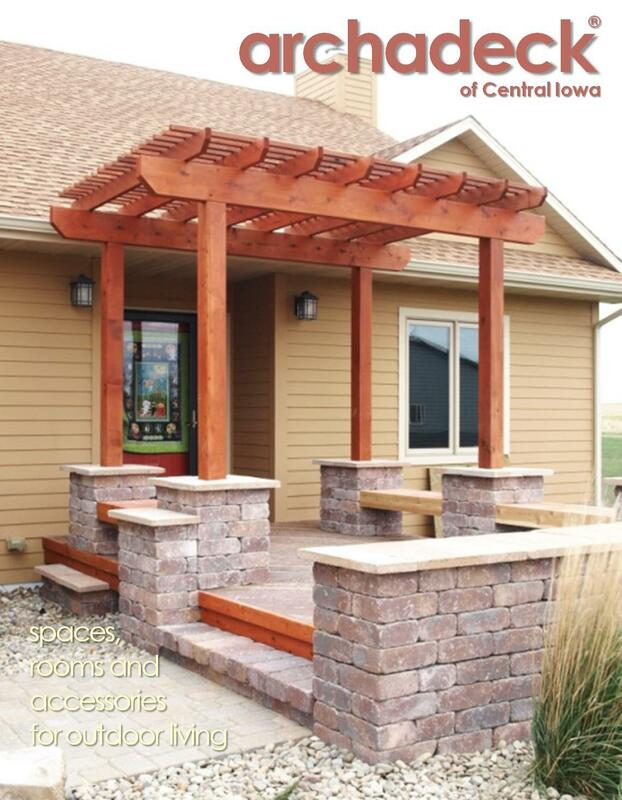 So, between that and the hectic pace of these coming weeks, “outdoor living” and the services and products provided by Archadeck of Central Iowa are appropriately going to take a “back burner” for most folks for a while. I encourage planning and designing your outdoor living projects over the Winter months. But I realize most folks – myself included – will be consumed planning their shopping, social and family activities and gatherings over the coming weeks. Front Porches…the gateways to your home…are one of the most taken-for-granted, under-appreciated aspects of your home. And, of outdoor living. Yet, over the Holiday Season more than any other time of the year, the Front Porch…the front of your home, in general…takes on its most prominent role. When going to, and hosting, your various holiday gatherings, where do you enter other’s homes?…and where do they enter yours? 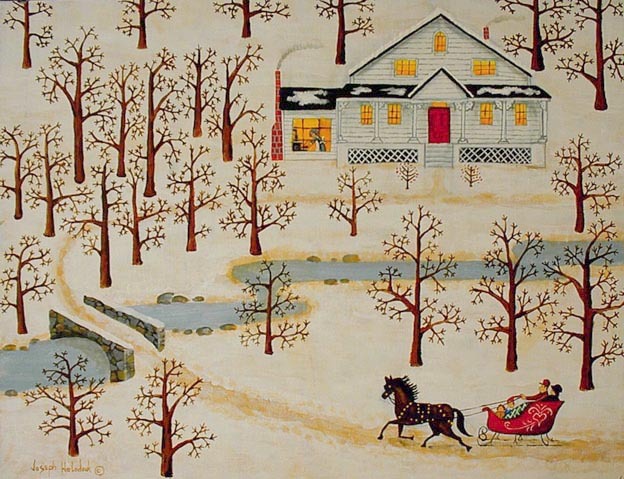 What do you decorate for the holidays? Over the river and through the woods, to grandmother’s house we go, right? Doesn’t that Norman Rockwell vision include a front porch on Grandma’s house? 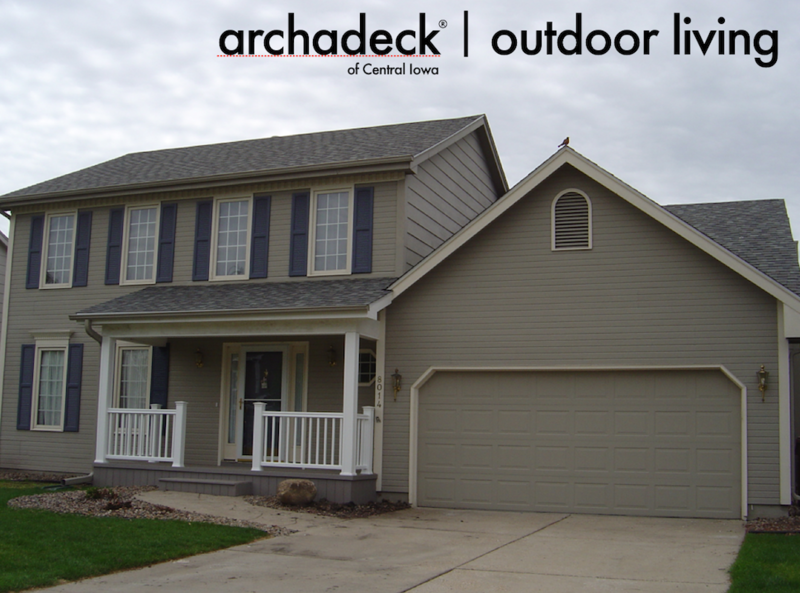 Archadeck’s role as a custom design/build firm specializing in outdoor living spaces, rooms and accessories is traditionally targeted to the back yard. In fact, we’ve had a marketing tag line that refers to Archadeck as “The Backyard Company.” While I’ve rarely used that tag, when meeting with folks around the Des Moines area I often refer to myself as a “backyard project manager.” But, our products and services position us well to apply our same design, structural and product applications to front porches and entryways…and we often do. Roofs are roofs, whether they are over a screen porch, a sunroom or a front porch. 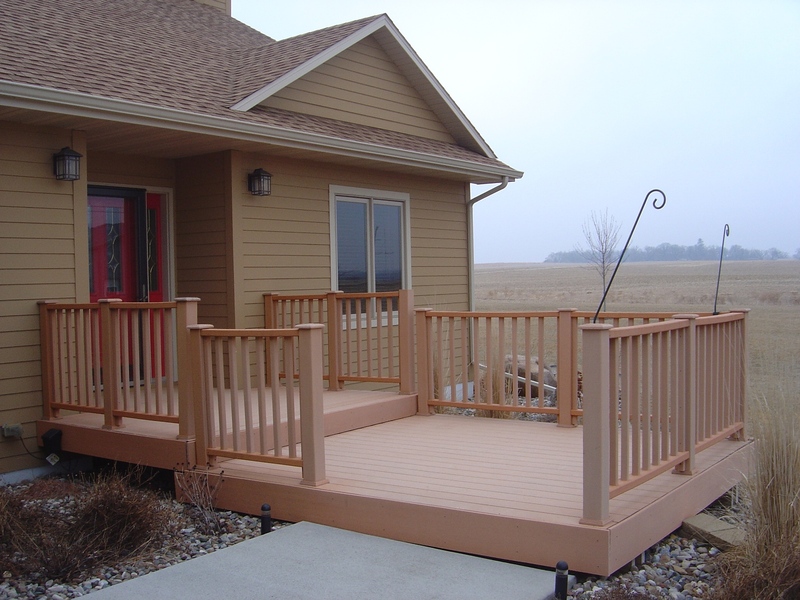 Decking and railing products used on our deck spaces can be used in a front porch application. Something I’ve really come to like is incorporating pergolas into front porch areas…in the right setting. Same is true with stone and hardscaping… incorporating stone or brick on post columns and using something other than plain concrete (pavers, decorative concrete, etc.) as the pathway to your front door. All of these components commonly found in our backyard deck, porch and patio projects can be incorporated into a front porch/entry way design that fits both the style of your home and the “welcome” you want to offer. 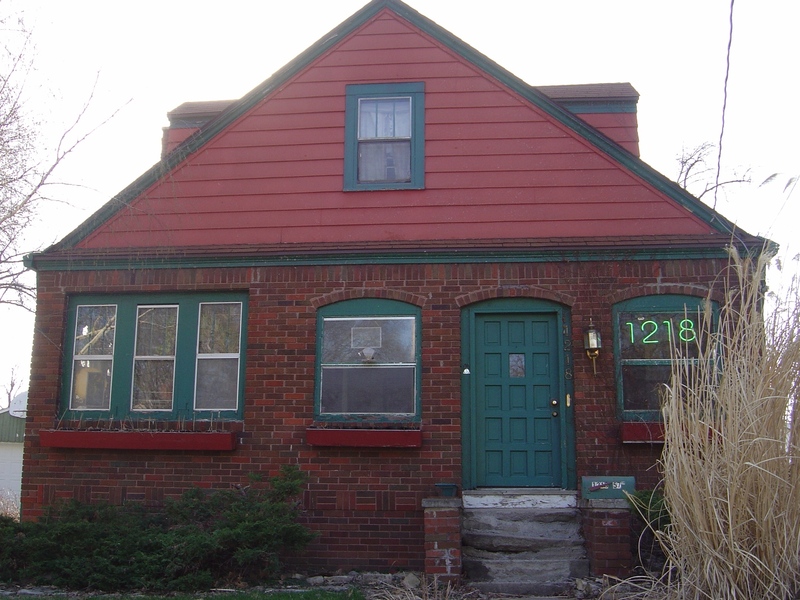 The “curb appeal” these enhancements can make to your home – year round – can be dramatic. 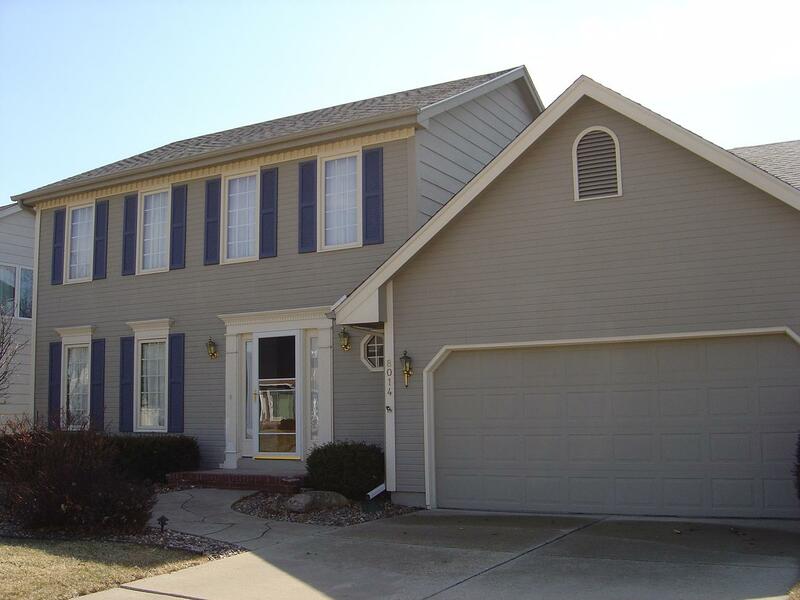 In addition to the pictures scattered throughout this posting, check out our “Front Porches and Porticos” photo gallery on our web site to see more of some of the front porch projects we’ve done in and around Des Moines and Central Iowa. So, through the hustle and bustle of the Holiday Season, with people coming and you going, give all those front porches a second look…a second thought. They’re hard to miss this time of year! 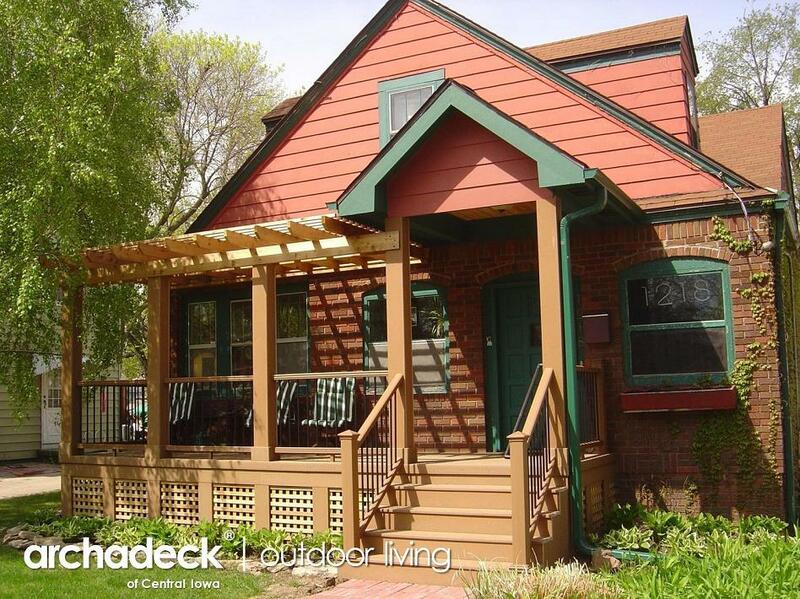 This entry was posted in Deck Railings, Decks and Decking, Open Porches, Outdoor Living, Patios, Pergolas, Porches. Bookmark the permalink. Good post. Just enough meat here to get my attention and cause me to share it with others. Thanks. I specialize in curbing and it’s important for me to see what and how others are beautifying the outside of homes, to see what’s possible and how what I do could fit in with that. Thanks for the reply and thanks for reading.